Welcome to Buffalo Wyoming! Home of Winchester Steak House. Please review our site to find, important links, menus, specials, and information about North-Eastern Wyoming’s premiere steakhouse. Located at the base of the Big Horn Mountains, sits an establishment owned by husband and wife duo Biff and Tracey Short. 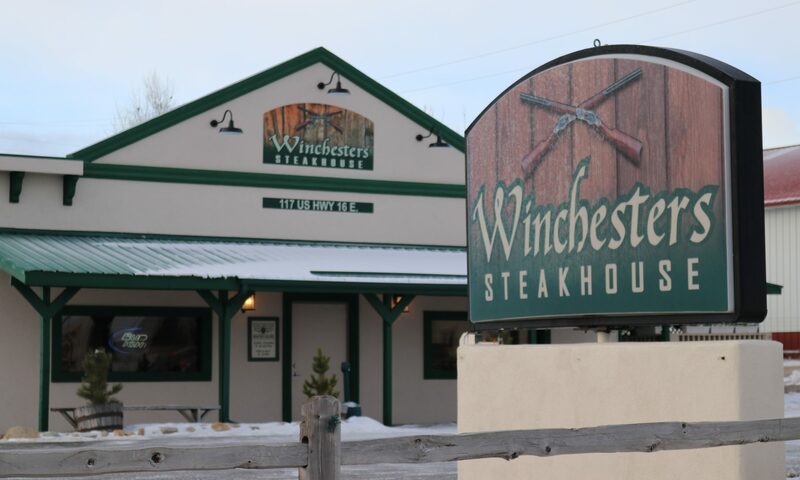 Established in 1999, Winchester Steak House is sought to be the premiere steakhouse in North-Eastern Wyoming. Best known for their award winning steaks, Winchesters has a great variety of seafood as well. All the locals rave about Winchesters, but the buck doesn’t stop there. Winchesters is known all over the United States and abroad, with loyal customers that make the journey just to dine with us! We invite you to join us as well, so come on down and see what the rave is all about. Check out our Facebook Page below or click the link here! Our steaks are fresh, never frozen, hand cut and seasoned with our house specialty rub.